I’m a frequent music festival goer. In fact, I make it a point to attend at least one big music event a year. Over the years, I have traveled across the country to see my favorite musicians, camped with strangers without any equipment of my own just to be a part of the experience, volunteered when I didn’t have enough money to purchase my tickets, and more. 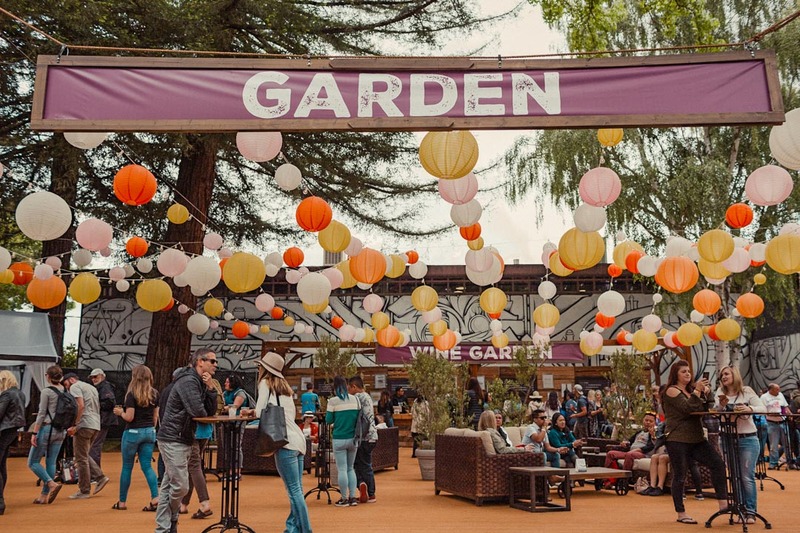 When I moved to the wine country a few years ago, I was so happy to discover I had an opportunity to check off yet another exciting music festival but this time right in my backyard. 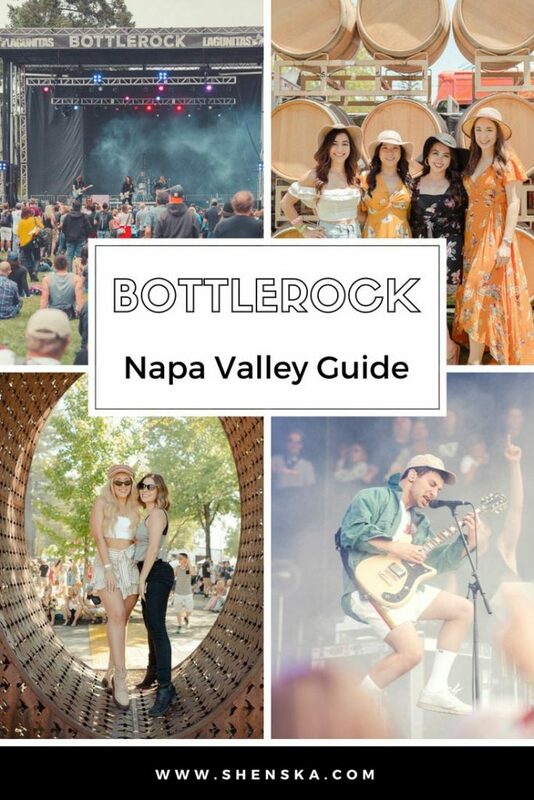 I’m talking about BottleRock Napa Valley. 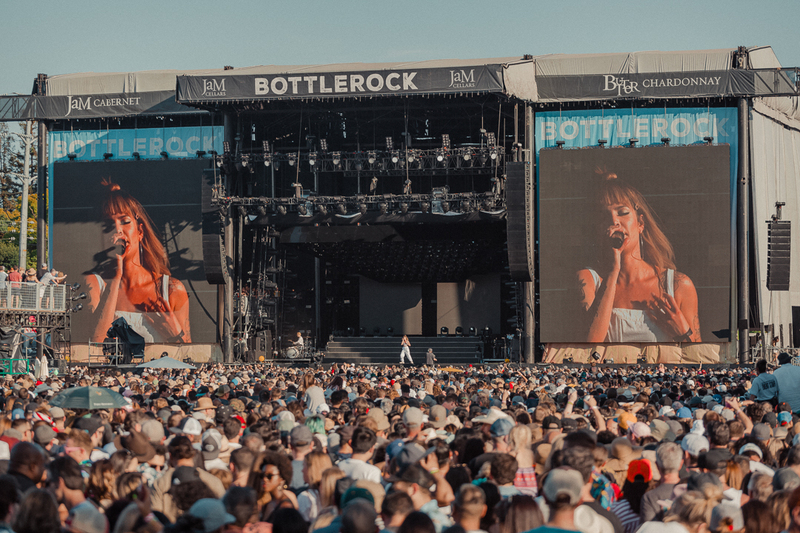 If you’re one of the 32 million people who are attending music festivals in America every year and still haven’t made it to one of the biggest events in the wine country, I’m here to tell you all about it. 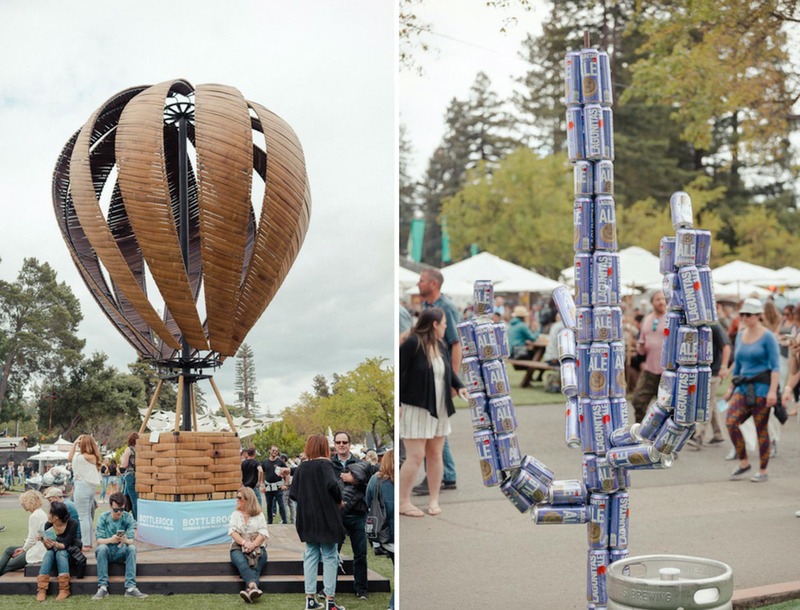 Let’s talk wine, food, art, fashion and music at BottleRock in Napa! 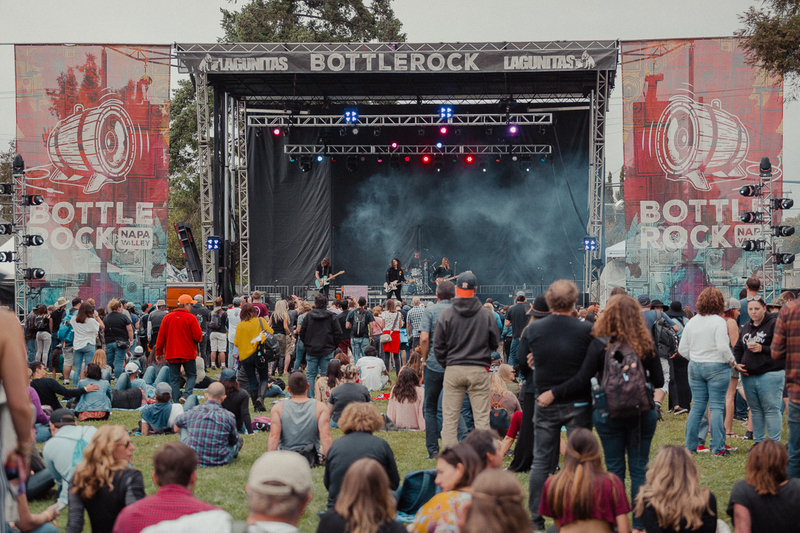 Napa Valley wouldn’t be the same without wine, so naturally you can expect it at BottleRock as well! 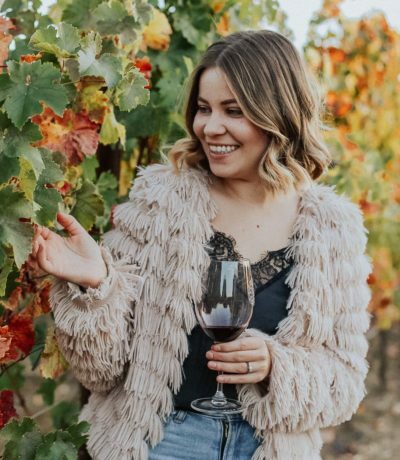 This year, we got to enjoy wine from 23 vendors including major brands like Schramsberg Vineyards, Domaine Chandon and Silver Oak Cellars just to name a few. 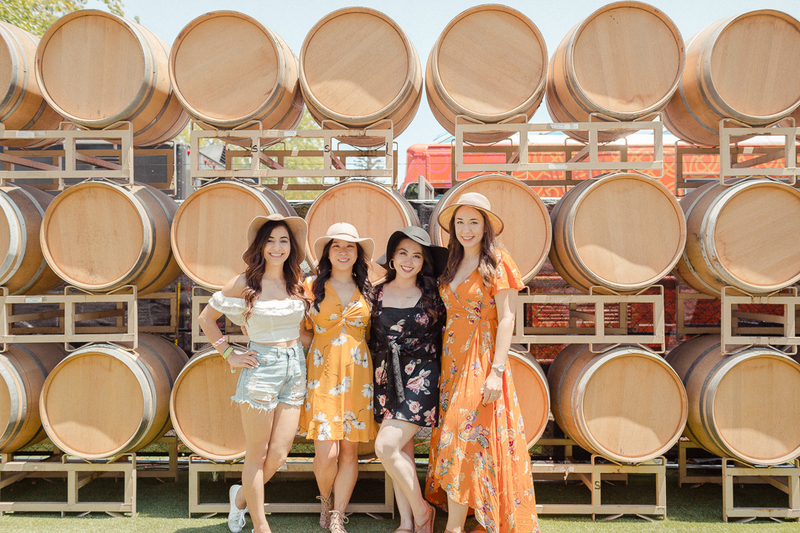 Also worth mentioning, JaM Cellars and Miner Family Wines are some of the biggest sponsors of the festival, which you can easily spot in the music stages named after them. 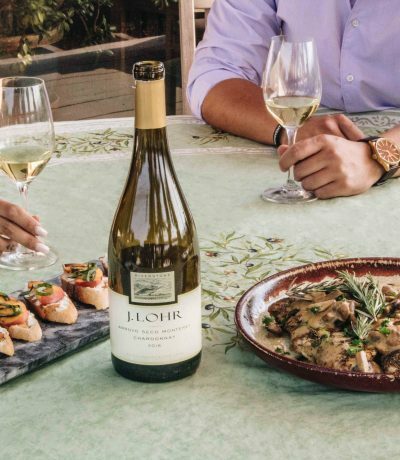 If wine is not an incentive enough to get you to Napa, food should do it! 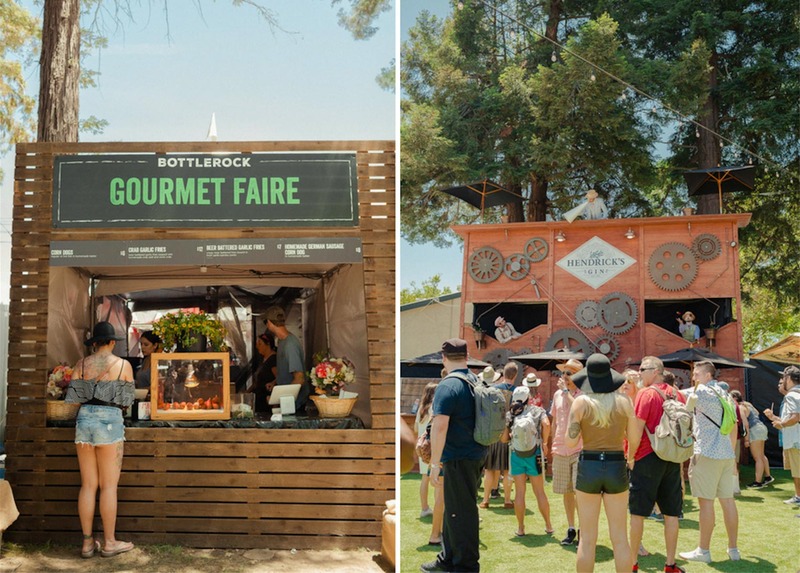 At BottleRock, you have an opportunity to taste the valley’s delicacies from over 50 vendors! Whether it’s sushi from Morimoto, duck fat fries from Goose & Gander or a roast beef sandwich from Bouchon Bakery, I’m confident your tastebuds will be satisfied all festival long! 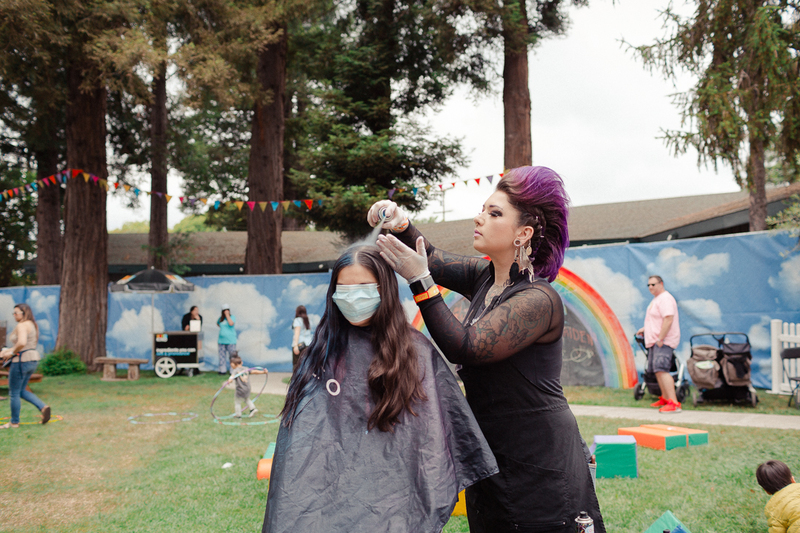 Body paint, festival hair styles and makeup, spa treatments – these are just some of the amazing things we get to experience at BottleRock. It’s safe to say you can bring your whole family and everybody will find something fun to do here! 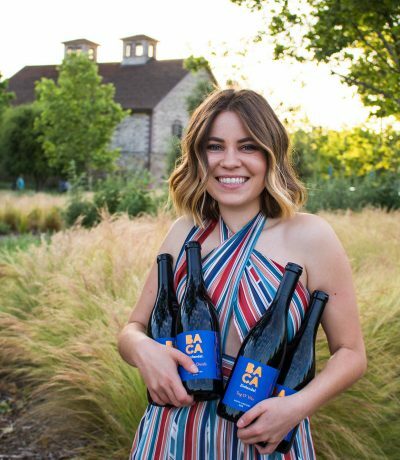 2018’s BottleRock Napa Valley featured artists included Jacques Lesec, Kopol Bonick and more! Also on display again this year was Laura Kimpton’s LOVE sculpture plus murals by JM Rizzi, Ian Ross and Zio Ziegler. 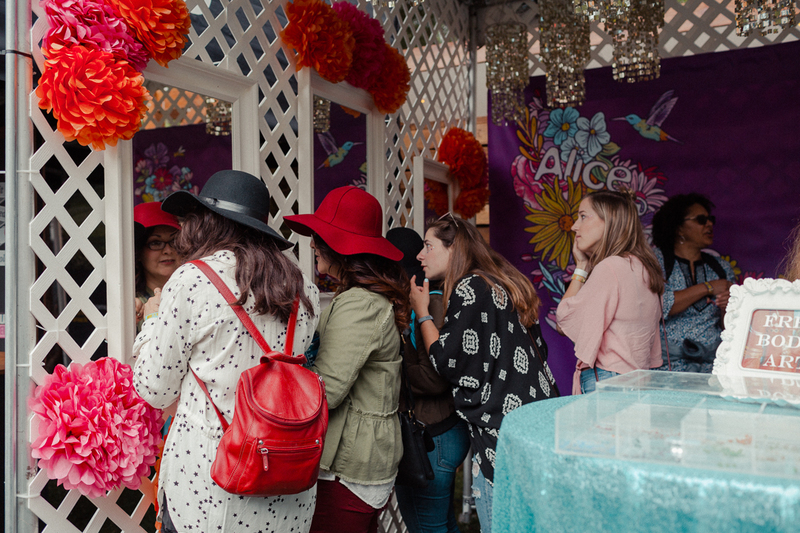 This year, I got to catch up with some of my favorite bay area bloggers and creatives, Paige Kinsey included! You can check her Instagram here. * I was wearing a top from Vibe Clothing and the black jeans from a local Napa boutique, Boho Lifestyle. 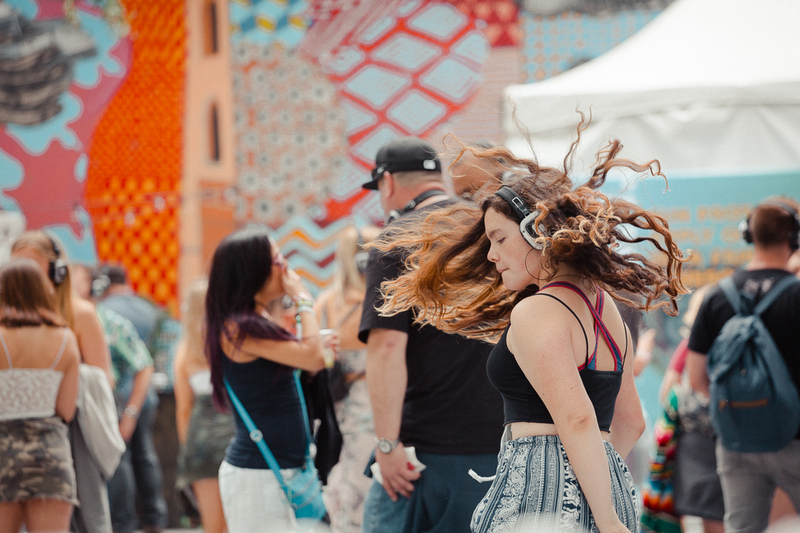 What music festivals would be without people watching, right?! I mean, fashion! 😛 One of my favorite things about BottleRock Napa is that people don’t go all crazy with their outfits. Coachella, anyone? I don’t know if it’s about the weather (evenings/ nights get pretty chilly in the valley), but I think we dress more for the good/ comfortable experience than just to show off. Thoughts? Finally, the main event! 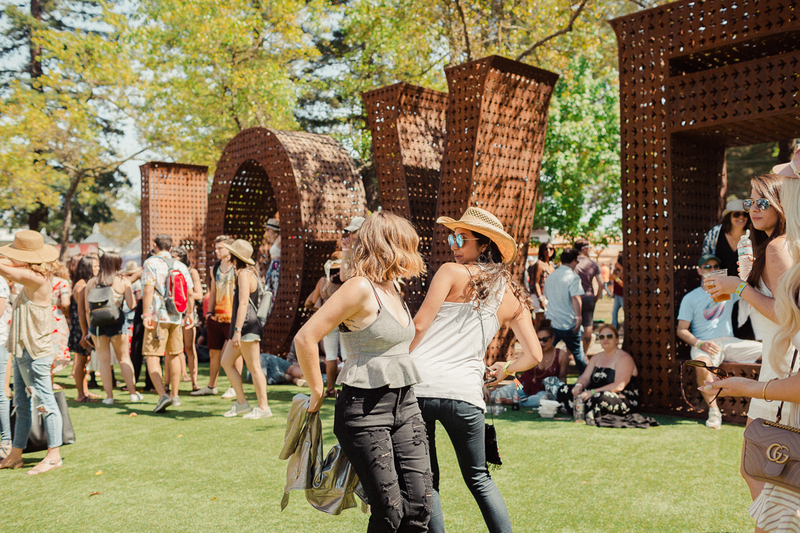 Music brings us all together and I’m so grateful BottleRock likes to cater to all tastes. Just choose your favorites from 80+ bands and five music stages. I admit, I usually come just for the headliner alone (Maroon 5 last year, Bruno Mars this one). However, I always appreciate listening to any other performers live. It’s all about the experience! 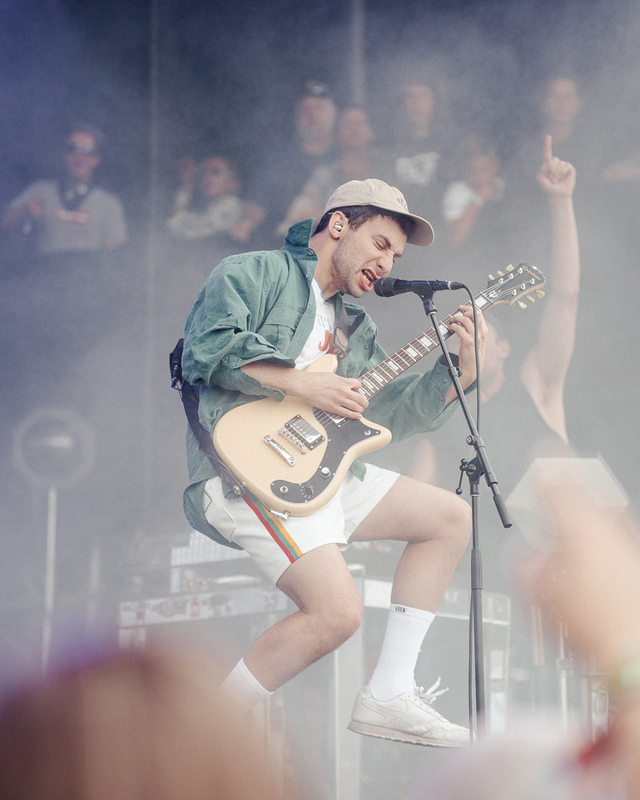 Bleachers performed on the second day of the festival. While I wasn’t there to enjoy it, I couldn’t help but share this amazing photo from Yvette. Don’t you feel the atmosphere just by looking at this image?! 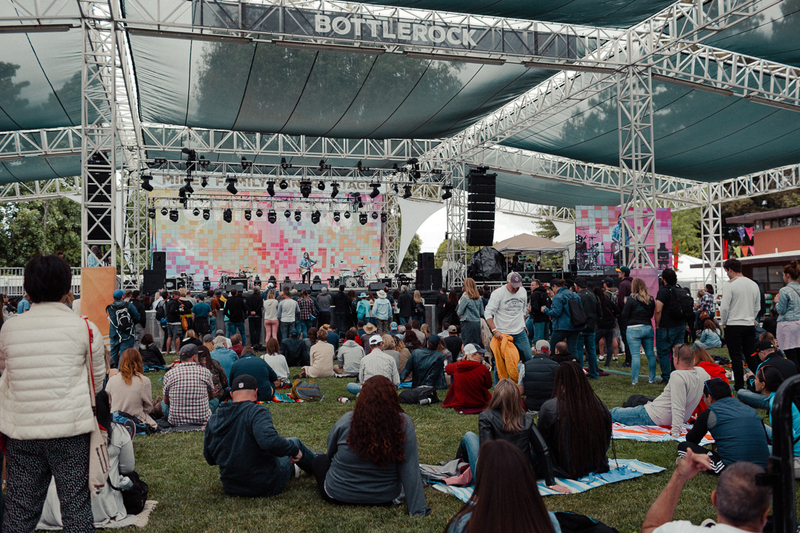 If you come to BottleRock Napa simply to enjoy the music, you can choose from more than several kind of experiences when purchasing your festival passes. The most obvious one is the basic General Admission ticket, which we usually go for. One day tickets range from about $150 to $200, but if you get the early access you can score all three days for around $300. If you wish for more of a VIP experience with better viewing areas and a separate fast lane entrance, you can get that for about $700. Platinum experience, which includes artist meet and greets and more, go up to $3,900. Another option is to invest in a Skydeck. 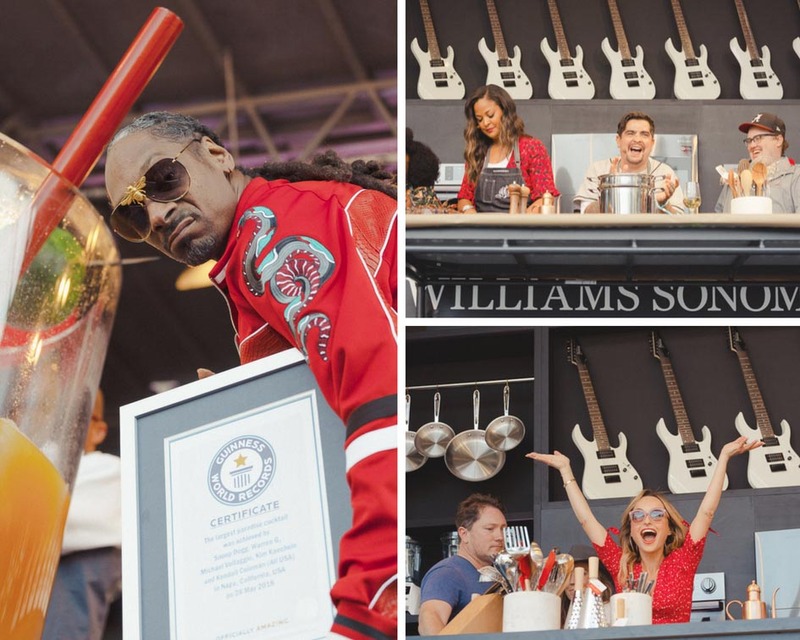 It is essentially a VIP pass + access to the “Alaska Airlines Skydeck” – an exclusive, elevated viewing platform with unparalleled views of the main stage. On top of that, you get all-inclusive beer, cocktails and wines at the Skydeck bars including in-and-out privileges. This year, we made it a bit late to the day 3 of the festival… Thankfully, I still got to see Halsey perform live. What a force! She’s just as great singing live as she is on the record and and I was totally digging her vibes. New girl crush alert! Ahhhh, Bruno Mars! I can’t even begin to tell you what a great experience it was to see Bruno perform live. You simply just can’t stand still watching him sing and dance in front of you! He definitely made it a point to make sure everyone was enjoying the performance. A total geeking moment! Specials thanks to Yvette of Envy Eighteen Photography for braving the 3-day music festival and providing us with these amazing photos! (To save this article into your Pinterest board, hover over any photo and click on the Pin It button in the right top corner. 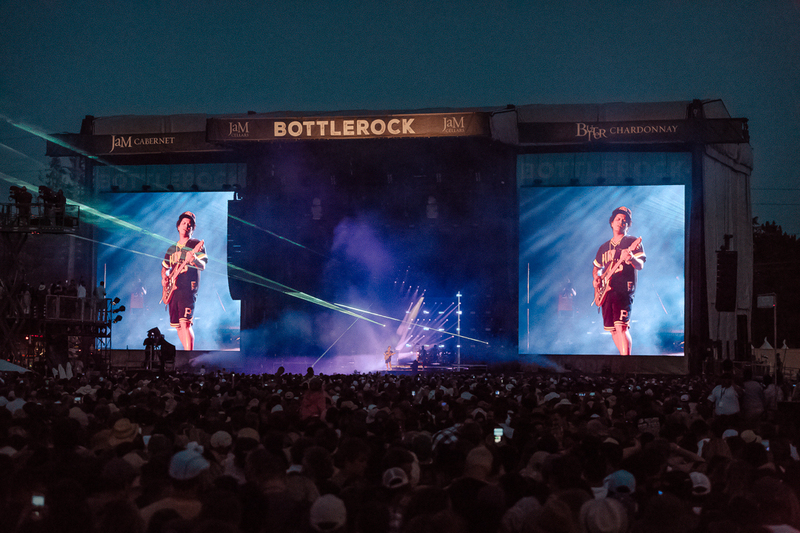 Have you ever been to BottleRock Napa Valley Music Festival? This looks like so much fun for summer! You had so much fun and I am happy you took us with you. These are beautiful photos and nice review. 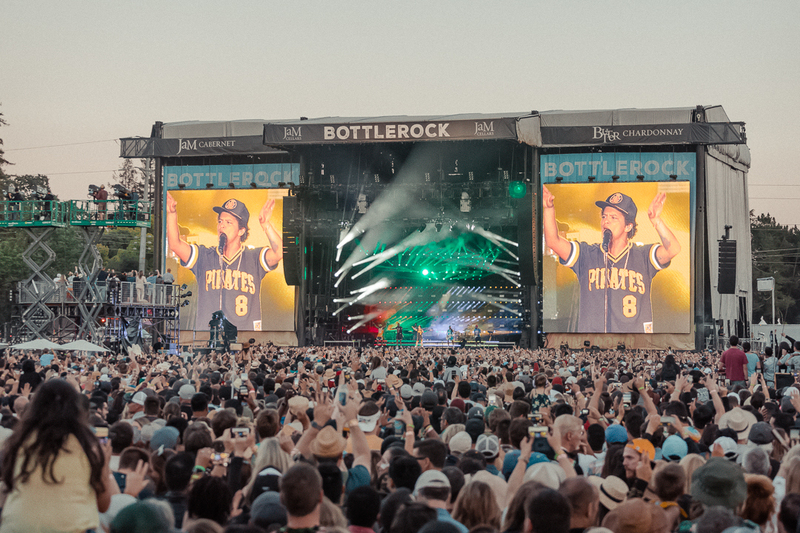 I have never been to the bottle rock Napa festival but your photos make me want to go! Looks like an amazing event with lots of fun!